Wine and chocolate seem like natural partners. Both delicacies offer untold pleasures. And, there are many similarities in their developmental process. Both cacao and grapes go through extensive fermentation to create the wine and chocolate that we enjoy. Just as winemakers utilize grape skins for tannin and acid development, chocolatiers work with the surrounding pulp of the bean to develop a bolder, sweeter product. Furthermore, the flavor profile of grapes used to make wine, and cocoa pods used for making chocolate are dependent upon soil and climate conditions. It’s no wonder wine aficionados and chocolate lovers are often one and the same. Despite their similarities and seeming affinity for one another, the flavors of wine and chocolate aren’t always compatible. That’s because chocolate can be simultaneously sweet, bitter, acidic and fruity, which can overpower a wine and making it taste flat. It is best when pairing wine and chocolate to make sure the wine is sweeter than the chocolate. Match lighter, more elegant chocolates with lighter-bodied wines and stronger chocolate with more full-bodied wines. For example pair an intense 70% cacao dark chocolate with Lucas Winery Late Harvest Zinfandel. If you want to pair wine with flavored chocolate, such as cherry, mint or chili, focus on accenting those flavors. Let's say you like some spice to your chocolate, so with your chili chocolate, look to pair with a Syrah with a deep berry flavor that finishes spicy, such as McCay Cellars Syrah. When it comes to desserts—especially super rich, decadent, chocolate desserts such as brownies, or fudge—don’t even try to pair them with a table wine. Instead, pour a dessert wine such as the St. Amant Bootleg Port. 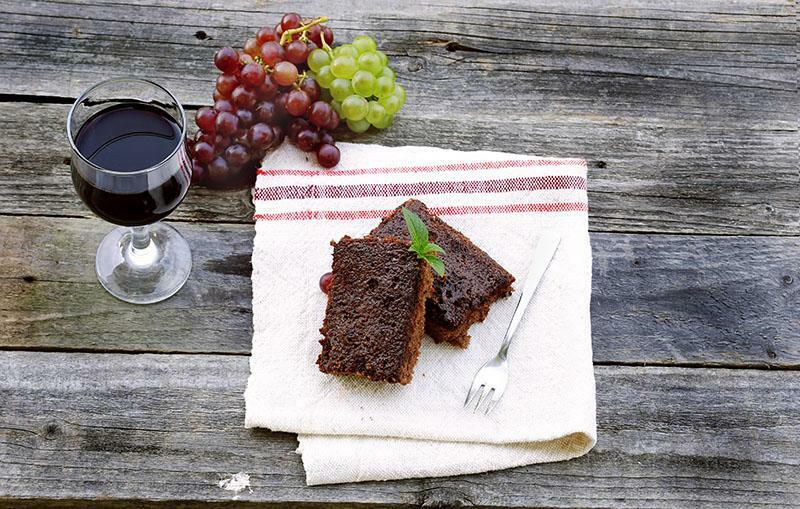 Chocolate may actually be easier to pair with wine when it is an ingredient in a dish. The chocolate gives the dish some depth, a hint of chocolate flavor and a nuanced sweetness. For example, pair Michael-David Winery 6th Sense Syrah with Chocolate Chicken Mole. End sweet. If you taste multiple combinations, taste sweeter chocolates and wines last. Look for this popular Lodi wine festival, a "target-rich environment," on February 9th and 10th, 2019, where you can taste handcrafted Lodi wines and decadent chocolate treats from over 50 wineries in the Lodi appellation. It’s a fun way to find out what suits your palate when it comes to wine and chocolate pairings! Purchase tickets and find more information about the Lodi Wine and Chocolate Weekend and if you need to find accommodations in Lodi, check out the various hotels, bed and breakfasts and vacation rentals. This would be a perfect getaway for those of you who need a plan for Valentine's Day! While using these tips to optimize wine and chocolate pairings, perhaps the best way to find wine and chocolate pairings that work for your palate is to experiment. Palatable pairings can come from unexpected combinations. The more you experiment, the sharper your palate will become! *Tasting is by appointment only.